This week we remember the 21st anniversary of an eruption of Soufriere Hills Volcano, in which 19 people lost their lives and 5 others were critically injured. The volcano on this Eastern Caribbean island had re-activated for the first time in living memory in 1995. With activity in the form of lava dome growth / collapses, explosive eruptions and pyroclastic density currents (PDCs - avalanches of hot volcanic gases, ash, and other fall-out from eruption plumes) intensifying again in 1997, the majority of Montserrat's then-12,000 inhabitants had already been evacuated from the southern half of the island, including the (former) capital of Plymouth, which became obliterated by a series of PDCs. Some of the inhabitants permanently evacuated, either to other Caribbean islands, the U.S. or the U.K. For those who were temporarily evacuated to the undeveloped northern part of Montserrat though, where conditions rapidly degenerated, the main problem was logistics in order to bring in external food supplies. With the main port in Plymouth out of action, it was (still is!) difficult for ships to dock elsewhere on the island, and the old airport in Trants** was limited in its capacity. For this reason, residents who made a living from agriculture were granted permission in the day-time to enter the exclusion zone (southern half of Montserrat) in order to tend their farms to produce food. The majority of the 19 people who lost their lives on the afternoon of 25th June were such people tending their land in close proximity to Soufriere Hills Volcano. *** An immediate evacuation of the area they were in had been announced on the main radio station for the island, but either these people did not have their radios switched on, or had ventured back into the exclusion zone in order to try and rescue family members. *** Volcanic ash makes soil fertile, which is good for farming, and hence why in many countries around the world people live near volcanoes. The National Geographic programme 'Seconds From Disaster (series 3, episode 19) explains the events of 25th June 1997. Watch from around 29 minutes into the programme where Delia Ponde explains the lucky escape that she and her family had. In total, there have been 6 phases of eruptive activity at Soufriere Hills Volcano since 1995, but the June 25th eruption from 1997 is the only one in which there have been fatalities. The southern half and parts of eastern Montserrat remain an exclusion zone, and there are now only 4,000 residents on the island. ** Video footage of former capital Plymouth shot in 2009 by the British volcanologists who were based at Montserrat Volcano Observatory at that time. The airport runway that features in this, based in the area of Trants on the east of Montserrat, was inundated by PDCs and lahars during the last eruption in 2010. I did fieldwork there with MVO in the summer of 2011. Only the roof and antenna of the old airport tower are still visible, and the volcanic deposits (mostly ash) at less than a metre's depth were still over 80 degrees Celcius. On 21 June Parque Nacional Galapagos reported that lava flows at Fernandina were no longer reaching the ocean, though white plumes continued to rise from flows at the coastline. The Alaska Volcano Observatory (AVO) reported continuing low-level unrest at Great Sitkin during 20-26 June; seismic activity remained at or near background levels. A recently analyzed satellite image acquired on 11 June, one day after short-duration explosive event was recorded, showed a minor ash deposit on the snow extending 2 km from a vent in the summit crater. The Aviation Color Code remained at Yellow and the Volcano Alert Level remained at Advisory. (Indonesian volcano monitoring agency) PVMBG reported that at 08:57 on 21 June an event at Ibu generated an ash plume that rose at least 600 m above the crater rim and drifted north. Signals indicating that an explosion and rock avalanches were detected in seismic data. During 22-26 June ash plumes rose as high as 850 m and drifted west-north-west and west. The Alert Level remained at 2 (on a scale of 1-4), and the public was warned to stay at least 2 km away from the active crater, and 3.5 km away on the north side. According to the Darwin Volcanic Ash Advisory Centre an ash plume from Kadovar identified by a pilot and in satellite images rose to an altitude of 1.8 km (6,000 ft.) above sea level on 20 June and drifted west. (Indonesian volcano monitoring agency) PVMBG and (national disaster response) BNPB reported that an eruption at Anak Krakatau began on 18 June, along with increased seismicity, and reminded residents that the Alert Level remained at 2 (on a scale of 1-4); visitors were warned not to approach the volcano within 1 km of the crater. Foggy conditions hampered visual observations during 19-20 June, but on 21 June grey plumes were observed rising 100-200 m above the summit. An even at 07:14 on 25 June produced a dense ash plume that rose about 1 km and drifted north. On 22 June (Ecuadorian volcano monitoring agency) Instituto Geofisico (IG) reported increased seismic activity at Sierra Negra on the southern end of Isabela Island; the largest event, a M4.2, was recorded at 06:24 and felt in El Cura and San Joaquin, north east of the volcano. A M5.3 earthquake was detected at 03:15 on 26 June, occurring at a depth of 5.3 km below Sierra Negra. The event was strongly felt on the upper flanks and in Puerto Villamil (23 km south east). Several aftershocks and subsequent tremor were recorded. An earthquake swarm began at 11:17, characterized by events located 3-5 km depth. A M4.2 earthquake was recorded at 13:38, and followed by increasing amplitudes of seismic and infraound signals. Parque Nacional Galapagos staff heard noises described as bellows coming from Volcan Chico fissure vent, and coupled with the seismicity and infrasound data, suggested the start of an eruption. An IG report posted 20 minutes later described a thermal anomaly identified in satellite images in the northern area of the caldera, near Volcan Chico. Park staff observed lava flowing towards the crater's interior as well as towards the northern flank. (monitoring agency) Instituto Nicaraguense de Estudios Territoriales (INETER) and (civil defense) Sistema Nacional para la Prevencion, Mitigacion y Atencion de Desastres (SINAPRED) reported that an eruption at Telica began at 07:08 on 21 June. Explosions produced an ash plume that rose 500 m above the crater and drifted east, south, and south west, and ejected tephra that was deposited within a 1 km radius of the volcano. Ashfall was reported in areas including La Joya, Las Marias (8 km NNW), Pozo Viejo (10 km NNW), Ojo de Agua, San Lucas (11 km NNW), Las Higueras, Las Grietas (12 km NNW), and Posoltega (16 km WSW). During 6-12 June INSIVUMEH and CONRED reported that strong lahars at Fuego were often hot, steaming, and had a sulfur odor, and were generated from heavy rains and the recent accumulation of pyroclastic-flow deposits from the 3 June events. On 6 June lahars descended the Santa Teresa, Mineral, and Taniluyá drainages (tributaries of the Pantaleón river) and possibly the Honda drainage, halting search-and-rescue efforts. The lahars were 30-40 m wide, 2-5 m deep, and carried blocks (2-3 m in diameter) and tree parts. CONRED noted on 9 June that deposits on roads were being cleaned at a rate of 150 m per day, and that exposed deposits were as hot as 150 degrees Celsius. Significant hot lahars, 40 m wide and 5 m deep, traveled down the Seca, Mineral, Niágara, and Taniluyá drainages, carrying rocks and tree branches. On 10 June a strong lahar traveled down the Seca, Mineral, Niagara, Taniluyá, and Ceniza drainages. It was 35 m wide, 3 m deep, and carried blocks up to 1 m in diameter, tree trunks, and branches. Lahars that traveled down the Seca and Mineral drainages on 11 June were 40 m wide and 3 m deep. Lahars on 12 June were 20-45 m wide and 2-5 m deep, and flowed down the Ceniza and Mineral rivers. During 6-11 June as many as nine weak explosions per hour produced ash plumes that rose as high as 1.1 km above the crater and drifted 8-15 km W, SW, and S. Avalanches of material descended the Las Lajas and Santa Teresa ravines. Some explosions vibrated local structures. At 0820 on 8 June a pyroclastic flow descended the Las Lajas and El Jute drainages, producing an ash plume that rose as high as 6 km and drifted W and SW. Explosive activity increased during 11-12 June, with dense ash plumes rising 1.3 km and drifting as far as 25 km N and NE. Pyroclastic flows traveled down the Seca drainage. According to CONRED, as of 12 June, the number of people that had died due to the 3 June pyroclastic flows was 110, and 197 more were missing. In addition, 12,578 people had been evacuated. Based on a pilot observation, the Darwin VAAC reported that on 10 June an ash plume from Manam rose to an altitude of 1.8 km (6,000 ft) a.s.l. The ash plume was not identifiable in satellite images. On 5 June GeoNet reported that a new heating cycle at Ruapehu’s summit Crater Lake began, as indicated by a recent rise in the water temperature. The increasing lake temperature began 29 May, at a rate of about 1°C per day. Volcanic tremor also increased, representing a greater flow of hydrothermal fluids into the lake. Many heating and cooling cycles have occurred in the past; the current cycle does not indicate an unusual sign of unrest. The Volcanic Alert Level remained at 1 (minor volcanic unrest) and the Aviation Color Code remained at Green. According to the Darwin VACC, a NOTAM (Notice to Airmen) stated that on 8 June an ash plume from Ulawun rose to an altitude of 2.1 km (7,000 ft) a.s.l. and drifted W.
We have just been reminded of this really useful and informative series of videos on different volcanic hazards. These cover topics such as pyroclastic density currents (PDCs - avalanches of hot volcanic gases, volcanic ash, and other fall-out), lahars (floods of water, ash, and larger debris), lava flows, ash fall, volcanic gases, and so on. Currently there are versions of these videos in English, French, Spanish, and Baha Indonesian, and future plans to create versions in Italian and Turkish too. Please spread this link far and wide, in particular to the media in your country, who in their attempts to report volcano stories quickly, often confuse the terminology and phenomena. For those of you interested in how volcanoes are monitored, you might want to take a look at the resources on the Hawaiian Volcano Observatory's website right now. In particular, we are fascinated by how they are using drones and satellite imagery from other agencies to supplement the observations that their field crews are making from the ground and now twice-daily helicopter overflights. The image below is a screen shot from a video from the drone, which was filmed on 4th June. The drone is able to hover more steadily than a helicopter over the hot lava flows, despite the air turbulence caused from this heat. The USGS are then able to use a method known as particle image velocimetry (PIV) in order to best determine the velocity (speed - with direction) of the lava streams. There are two ways in which this can be calculated: either i) visually following a point in the lava stream to determine how far it has traveled over time (recall: speed = distance divided by time), or ii) by observing how quickly the lava flows past a specific fixed location for a given time. The GIF in the link below shows satellite radar imagery from the Italian Space Agency's Cosmo-SkyMed system of changes in the summit area of Kilauea volcano, i.e. the Overlook Crater, Halema'uma'u Crater, and the surrounding area of the Hawaii Volcanoes National Park. Following an explosive eruption at the summit area yesterday (6th June 2018) at around 4:07 p.m. local time, there is now some concern for the stability of Halema'uma'u Crater wall on the side nearest HVO's building and the Jagger Museum, both of which are currently closed. This particular eruption generated the equivalent energy release to a M5.6 earthquake, and the ash plume reached an altitude of around 10,000 ft / 3048m above sea level. The volcanic ash fall was in the direction of the trade winds, i.e. over the Ka'u Desert and Pahala in south western Big Island. All of these aerial observations are assisting HVO with providing relevant information to the Hawaii County Civil Defense in order to advise local residents in affected areas of road closures and evacuation notices in a timely manner. For those of you in the UK and British Isles, Ireland, BeNeLux and other countries where the BBC broadcast, make a note in your diary: the fantastic (and now award-winning!) tv programme 'Expedition Volcano' is being re-broadcast later this month. We at Earthquake-Report.com cannot help but be a little excited about this, as it is the first tv programme that we have seen that focuses not just on the eruptive activity of volcanoes and technological advances in how they are monitored, but also the impacts of the people living around them. 'Expedition Volcano' features Nyiragongo and Nyamuragira in the Democratic Republic of Congo. Near to the former is the city of Goma, which has a population of over 1 million people. These volcanoes are characterised by particularly hot and fast-flowing lava flows, which during the last eruption inundated the city. The programme highlights how it was not even the eruptions which turned the situation into a disaster, but rather the compounding effects of these with the already-existing problems of human displacement following civil wars in the DRC and neighbouring Rwanda, which then lead to an outbreak of cholera and other infectious diseases causing high mortality rates. GeoTenerife have just taken in their first batch of summer interns for INVOLCAN, which will mean lots of lovely photos for us from various volcanic locations around the Canary Islands. Here are the first ones posted. June @GeoIntern Narysse Palmer (@Geo__Nerd) of @covunieec is out in the field performing in-situ efflux measurements + collecting soil gas samples on Tenerife NERZ volcano. If any of you are looking to do some geo-tourism, as well as Tenerife (for Mount Teide) and La Palma, I can highly recommend Lanzarote, where I did a 2 week field trip during my undergraduate degree in geophysics. The volcanic landscape, which in geological terms is young (last eruption <200 years ago) is stunning and easily accessible by car or coach. In particular I would recommend the Cueva de los Verdes (lava caves) in Jameos, and Timanfaya National Park. 192 people have been registered as missing. Rescue work has re-commenced to try and find them despite red alerts still being in place for the worst affected regions around the volcano: Chimaltenango, Sacatepequez and Escuintla. There have been 78 incidents since Sunday registered as being connected with the eruptive activity and ensuing pyroclastic density currents (PDCs - avalanches of hot volcanic gases, ash, and other plume fall-out) and lahars (flows of water and volcanic debris). 75 people are confirmed dead. 58 people have been admitted to hospitals with 2nd and 3rd degree burns as a result of being caught by the edge of a PDC. 44 others have been admitted with other injuries. 1.71 million people have been affected in this immediate aftermath. Of these, 12,089 people have been registered as having been evacuated from villages and hamlets around Fuego, of which 3,319 people have been temporarily re-housed and 3,271 treated for minor injuries. With regards to infrastructure: the main electric power grid, two main roads, and a vital bridge have been destroyed. Seven schools in the area have been damaged. CONRED (Civil Defense and National Disaster Response for Guatemala) report that the voluntary fire brigade are working to get machinery into these areas to try and clear the blocked and destroyed roads as quickly as possible. Part of the problem though is that the deposits from PDCs are still hot, so much so that the hot ash is melting the soles of the rescue workers boots. (NOTE: From my time working with Montserrat Volcano Observatory in the Eastern Caribbean, when we measured the surface temperature of pyroclastic density current deposits a year on from an eruption of Soufriere Hills Volcano, they were still around 80 degrees Celcius. Because the volcanic ash in these deposits is glassy, they retain heat for a long time). This footage shows how deep the PDC deposits are in some places around Fuego. Following on from the volcanic disaster this week in Guatemala, research volcanologists based at UNAM have re-issued the hazard maps for Popocatepetl volcano in Mexico. If you live in the vicinity of this volcano (and I know that there is at least one earthquake-report.com reader who does), please take the time to have a look at these, as a little knowledge prior to any eruption could help save a life, particularly with regards to understanding your location and evacuation routes. The poster is in Spanish, and covers tephra (volcanic ash fall), ballistics, Pyroclastic Density Currents, lahars, lava flows, and avalanches. What a difference a month makes! It was only at the end of April this year that the lava lake within the Overlook Crater was overflowing onto the floor of Halema'uma'u Crater at the summit area of Kilauea volcano. Then the lava lake suddenly started draining down to below the water table, as it did also at the Pu'u O'o vent, leading to deflation and more explosive, steam-driven eruptions at the summit, and lava fountaining from fissures (cracks in the ground) further along the East Rift Zone. The latest image of Halema'uma'u Crater (below) shows just how much this has widened and deepened in just this one month period. The Hawaiian Volcano Observatory and the Jagger Museum are to the top-right of shot. The museum and this part of Hawaii Volcanoes National Park remain closed, and staff from HVO have had to re-locate to safety elsewhere on Big Island. Vigorous lava flows continue from fissures (cracks in the ground) within Leilani Estates and Lanipuna Gardens Sub-Division within the Lower Puna area of south eastern Big Island. In particular, lava fountaining from Fissure #8 has been reaching heights of 150-180 ft. / 45-55 m, and is feeding channels of lava with are flowing into the sea, generating laze, which is hydrochloric acid steam from the chemical reaction between the hot lava and cool sea water. These lava flows have now filled Kapoho Bay, creating an unstable lava delta. Several roads in the vicinity of Kapoho and Vacatioland were closed as a precaution in case potential evacuation routes became cut off by lava flows. Steamboat Geyser, which is one of the biggest geysers in the world, has this week been erupting again. You may wish to turn down the volume before pressing play on the video (below) to avoid being deafened...not by the geyser, but by the shrill excitement of one particular geyser gazer! Geysers produce purely steam-driven eruptions. They require a delicate combination of 3 factors: a supply of water that is capable of re-charging; a constant supply of heat from the surrounding bed rock; a plumbing system with a constriction (to act as a bubble trap) within a silicic bed-rock. Water heats up to above its boiling temperature (which at these locations is less than 100 degrees Celcius), but remains in a liquid state under pressure underground, i.e. it becomes super heated. Once the plumbing system has fully re-charged with this heated water, it begins to overflow at the surface during a phase prior to eruption known as pre-play. This surface overflow lowers the pressure underground, causing the super-heated water underground to flash to steam and erupt. Over half of the world's geysers are found at Yellowstone National Park, with most of the others found in Iceland, New Zealand, and Chile, i.e. in volcanic areas of the world. Following on from earthquake-report.com mentioning the phreatic (steam-driven) eruption at Mount Merapi on 1st June, we have just managed to find this footage also of the start. It was filmed from the hamlet of Balerante, which is 5 km away from the summit area. The footage appears to be in real-time, so the jetting at the base of the plume is quite incredible to watch! This fantastic shot, taken with a telephoto lens, reminds us that Mount Sinabung is still active. Given that this particular volcano generates pyroclastic density currents (PDCs - avalanches of hot volcanic gases, volcanic ash, and other fall-out from an eruption plume) on a regular basis, the Indonesians from the island of Sumatra have much understanding and sympathy for those affected by this week's eruption of Volcan de Fuego in Guatemala. The largest eruption of the 20th Century began on this day in 1912 at Novarupta-Katmai volcanic complex on the Alaska peninsula. The eruption plumes reached altitudes corresponding to the stratospheric layer of the atmosphere, which has strong winds that carried the volcanic ash around the globe. Tephra deposits from the eruption plumes and associated Pyroclastic Density Currents (PDCs) filled the Valley of Ten Thousand Smokes with more than 600 ft. / 183 m of volcanic ash! Read the full story from eye-witness accounts in this fantastic booklet produced by the National Park Services in Alaska. NOTE: For any of you who are students, there is a field class that you can take with the University of Alaska Fairbanks that goes to this particular area. Probably too late to apply for this year, as both this field school and the one to Kamchatka in the Far East of Russia take place during the summer, but let us know if you are interested, and we shall put you in contact with the relevant people. At 1650 INSIVUMEH noted reports of lahars descending the Pantaleón drainage (fed by the Santa Teresa and El Mineral rivers) and other drainages. CONRED had evacuated communities near Fuego, including Sangre de Cristo, finca Palo Verde, and Panimache. At 2200 (~16.5 hours after the increased activity began), the eruption waned, with activity characterized by weak-to-moderate explosions, crater incandescence, and ash plumes that rose almost 800 m. The seismic station (FG3) recorded the last pyroclastic flow at 1845. By 0725 on 4 June seismicity had returned to normal levels. Explosions occurring at a rate of 5-7 per hour produced ash-rich plumes that rose as high as 900 m and drifted 15 km SW, W, NW, and N. Avalanches of material descended the flanks. The La Aurora International Airport reopened and flights resumed at 0930. On 5 June INSIVUMEH reported that activity again increased. Explosions occurring at a rate of 8-10/hour, some strong, generated ash plumes that rose 5 km and drifted E and NE. At 1928 a pyroclastic flow traveled down the Las Lajas drainage. News articles noted that authorities called for another evacuation. CONRED reported that by 0630 on 6 June a total of 12,089 people had been evacuated, with 3,319 people dispersed in 13 shelters. One bridge and two power networks had been destroyed. According to news sources on 6 June, Guatemala's National Institute of Forensic Sciences stated that 75 people were confirmed to have died and 192 were still missing. Many, possibly thousands, received burns and other injuries. Weather conditions, continuing activity at Fuego, poor air quality, hot pyroclastic flow deposits, and rain made rescue efforts difficult. HVO reported that the eruption at Kilauea’s Lower East Rift Zone (LERZ) and at Overlook Crater within Halema`uma`u Crater continued during 30 May-6 June. Lava fountaining and spatter was concentrated at Fissure 8, feeding lava flows that spread through Leilani Estates and Lanipuna Gardens subdivisions, and reached the ocean at Kapoho Bay. Fissures 22, 6, and 13 were periodically active on 30 May, and fissures 6/13 spattered on 4 June. Sluggish lava flows were present around Fissure 18. Inward slumping of the crater rim and walls of Halema`uma`u continued, and earthquake activity beneath the caldera was mostly high, as the summit area adjusted to the withdrawal of magma from Overlook Crater. Passive degassing of SO2 from the summit decreased, but emission rates were high enough to impact air quality downwind. Ash emissions were intermittent and low, though around 1100 on 30 May an ash plume rose to 3.6 km (12,000 ft) a.s.l. A small explosion was detected at 1339 on 1 June. A preliminary M 5.5 earthquake was recorded at 1550 on 3 June, producing an ash plume that rose to 2.4 km (8,000 ft) a.s.l. A small explosion and accompanying M 5.5 earthquake was detected at 0432 on 5 June; an ash plume rose to 1.6 km (5,100 ft) a.s.l. During the beginning of the reporting period Fissure 8 generated tall lava fountains, rising 80 m, and some secondary fountains that rose 18 m. Pele's hair and other volcanic glass from the high fountaining fell in areas W of the fissure and within Leilani Estates. A small (30 m high) spatter cone formed at the downwind side of the fountain. Volcanic gas emissions from the fissures were very high; trade winds blew vog to the S and W parts of the island. The lava flow fed by Fissure 8 advanced NE at a rate of 550 m/hour during 29-30 May, but then slowed to 90 m/hour on 31 May. High eruption rates led to the formation of a leveed channel along the W edge of the lava flow; small overflows from the channel occurred along its length. On 2 June lava flowed around the N part of Kapoho Crater and then turned S, entering the Vacationland neighborhood. At 0700 the flow front had entered Kapoho Beach Lots, moving about 75 m/hour. Lava entered Green Lake (70 m x 120 m in dimension, and 60 m deep) at 1000, creating a large steam plume. By 1500 lava had completely filled the lake and boiled off the water. Locals reported that lava (with a flow front 800 m wide) entered the ocean at Kapoho Bay around 2230. By late afternoon on 4 June lava had built a delta extending almost 700 m into the bay. Overnight during 4-5 June lava fountaining at Fissure 8 was less vigorous, with a maximum height of 55 m. By 0630 on 5 June lava had completely filled Kapoho Bay, creating a new coastline 1.1 km away from the former coastline. To the S lava had overtaken most of the Vacationland subdivision and was entering the tidepools. All but the northern part of Kapoho Beach Lots had been covered. PVMBG reported that at 0820 on 1 June an event at Merapi generated an ash plume that rose at least 6 km above the crater rim and drifted NW, but then winds changed to the SW. Ashfall was reported at the Selo observation post. Observers noted white smoke rising from a forested area 1.5 km NW, possibly indicating burning vegetation. The report noted that volcano-tectonic events were occurring at about 3 km below the crater. Later that day at 2024 an ash plume from a 1.5-minute-long event rose 2.5 km above the crater rim and drifted NE and W. At 2100 an ash plume rose 1 km and drifted NW. The Alert Level remained at 2 (on a scale of 1-4), and PVMBG noted that all people within 3 km of the summit should be evacuated. Very sad to report that a total of 192 people remain missing after the Fuego volcano's eruption that killed at least 73. Please bear with us this morning as we update you in stages on the situation. The explosive eruption plumes have been reaching altitudes of around 4.5-4.6 km above sea level (~14,765-15,090 ft.) dissipating in south-westerly, west, northwest and north directions up to 15 km away from source. A volcanic ash advisory was issued to the civil aviation industry, and the airport in Guatemala City was temporarily closed, but according to AGN (the agency for pubic notices in Guatemala - via @AGN_noticias) has since re-opened in order to conduct inter-agency rescue and relief efforts. The greatest concerns for the monitoring agency in the hours immediately following this week's VE1 3 explosive eruption has been pyroclastic density currents (PDCs), which are fast-flowing avalanches of hot volcanic gases, volcanic ash, and other fall-out from eruption plumes as they collapse. These flow faster than a car can drive, and death by one of these is particularly gruesome (the intense heat causes immediate paralysis of the body's muscles, due to proteins in the muscles de-naturing above 40 degrees Celcius. Furthermore, this heat not only burns the skin, but also burns the throat and lungs). The general public is being asked to stay away from ravines, which are the most likely routes that both PDCs and lahars (fast-flowing floods of water, volcanic ash and debris) follow. However, PDCs can also flow up and over ravines as well as along them, making them particularly dangerous. We can see from this footage (below) of people filming an on-coming PDC how the volcanic gases make them buoyant. NOTE: if you should ever find yourself in such a situation on a volcano, do not hang around to film. Get out of the way to safety immediately! We cannot emphasize enough how dangerous PDCs are! This must have been absolutely terrifying for anyone trying to escape from the fall-out areas around Fuego. Is anyone on here able to translate from Guatemalan Spanish what this lady says. It would seem that she had a lucky escape! INSIVUMEH have advised CONRED Guatemala to continue rescue attempts where possible, but to take their own safety into account in case of further eruptive activity with PDCs and lahars over the next coming days. INSIVUMEH will issue another special report if there are either any changes in the volcanic seismicity or morphological changes to the summit area of Fuego. The European Commission issued this emergency response map (below) following the VEI 3 eruption of Fuego this week. Note that the death toll has sadly risen to 62, with more fatalities likely to be announced as emergency responders reach more of the affected areas. This video from a helicopter overflight shows some of the areas which were affected yesterday. Así las zonas afectadas en Guatemala por la erupción del #VolcánDeFuego; hasta ahora lamentablemente la cifra de fallecidos ha aumentado a 62. A press conference was held earlier today, featuring one of the monitoring volcanologists, representatives from CONRED Guatemala (National Co-ordinator for Disaster and Risk Reduction - i.e. Civil Defense), Minster for Public Health, Ministry of Defense, and others. It was broadcast live on social media (https://www.facebook.com/guatemalagob/videos/2064237186938639/) and also on Twitter via Gobierno Guatemala (@GuatemalaGob). According to (volcanologist) Eddy Sanchez, Fuego had 9 eruptions last year and 2 eruptions prior to this one this year, which was driven by an increase in volcanic gas content of the magma**. Rumours of this eruption being connected to an Earthquake and of the volcano developing a new crater are false. The volcanologists' greatest concern at the moment is if the weather conditions change over the next few days, particularly if the rainfall intensifies, which could re-mobilise volcanic ash, producing lahars, causing further destruction of agricultural areas. Any re-mobilisation of this ash could also potentially lead to long-term respiratory problems for residents. ** This to us would indicate either an up-welling of younger, more gas rich magma triggering this week's eruption, and/or a new batch mingling with an older batch which had been in place underground for a while. This, however, is speculation on our part, and would require analysis of samples of the volcanic ash to confirm. Government officials have been to hospitals to visit some of the injured, visited hostels to provide immediate short-term accommodation for those displaced, and met with people from business sectors in Guatemala to get (financial) support. *** An infrastructure and aid plan are going to be presented to the government cabinet later today. *** 'Natural' disasters, and in particular rescues and evacuations, are costly. CIV Guatemala (The Ministry of Communications, Infrastructure, and Living) have announced that the focus will be on clearing road RN14 Guatemala and re-building Las Lajas bridge. The image (below) shows fire fighters and other first responders working hard meanwhile to try and clear national route #14 of the volcanic deposits from this week in order to try and rescue others who might be trapped. This is possibly one of the most heart-breaking reports we have ever read in connection with a volcanic eruption. If you are not of a strong disposition, look away now. When first responders managed to reach this particular area near Fuego volcano, this dog alerted them to the whereabouts of its human family. Unfortunately, all 8 people had succumbed in the aftermath of the eruption. With the world's attention focused on Volcan Fuego in Guatemala and Kilauea volcano in Hawaii, we missed this phreatic (steam-driven) eruption of Mount Merapi on the Indonesian island of Java on 1st June 2018. This occurred around 08:20 a.m. local time that day, and lasted around 2 minutes. The eruption plume reached a height of around 6 km. In addition to towns and villages, the major city of Yogyakarta is located less than 30 km away from Merapi, so all eyes are on the volcano at the moment in case it fully re-awakens. 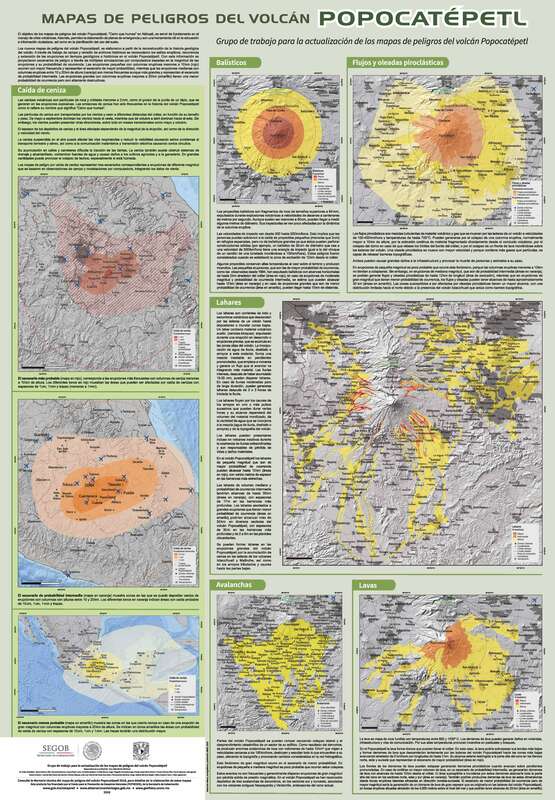 The last major eruptions of Merapi were in 2010, followed in 2014 with some lesser activity. Image of Merapi taken from Balerante hamlet, which is just 5.7 km from the summit area. Here we can clearly see the opening in the crater from the 2010 eruption, which generated extensive pyroclastic density currents and later lahars. Fissure 8 fountaining persisted throughout the day to heights up to 220 feet, and the channelized flow continued to deliver lava northeast along Highway 132 to the Kapoho area. Lava is advancing along a 0.5-mile-wide front towards the ocean at Kapoho Bay between Kapoho Beach Road and Kapoho Kai Drive. As of 5:45 PM HST, the lava flow was about 245 yards from the ocean at its closest approach point. Other branches of the Fissure 8 lava flow were inactive. All other fissures are inactive, although observers on the late afternoon overflight noted abundant gas emission from Fissures 9 & 10 and incandescence without fountaining at fissures 16 & 18. Pele's hair and other lightweight volcanic glass from high fountaining of Fissure 8 are falling downwind of the fissure and accumulating on the ground within Leilani Estates. Winds may waft lighter particles to greater distances. Residents are urged to minimize exposure to these volcanic particles, which can cause skin and eye irritation similar to volcanic ash. HVO field crews are on site tracking the fountains, lava flows, and spattering from multiple fissures as conditions allow and are reporting information to Hawaii County Civil Defense. Volcanic gas emissions remain very high from the fissure eruptions. Trade wind conditions are bringing vog to the south and west sides of the Island of Hawaii. Afternoon easterly winds may bring vog to communities in the Volcano area. Magma continues to be supplied to the lower East Rift Zone. Earthquake locations have not moved farther downrift in the past few days and the number of located earthquakes remains low. Seismicity remains relatively low with numerous small magnitude earthquakes and low amplitude background tremor. Earthquake activity at the summit was high overnight and through the day. A moderate earthquake (5.5 preliminary) resulting from a volcanic explosion and continued collapse around Halemaumau occurred at 15:50 HST. National Weather Service radar observations confirmed an ash column was produced and reached 8,000 ft. asl. The number of people killed by the powerful eruption of the Fuego Volcano in Guatemala increased to 25, Guatemala's disaster agency reported, while the number of injured people has risen to some 300. A recent image taken at Manaro Voui crater lake on Ambae appears to show calmer conditions in comparison to the vigorous, explosive phreato-magmatic (interaction between magma and water) eruptive activity from March-April of this year. We are trying to ascertain from the volanologist who posted the image if this is in fact the case, and also whether that orange-red is the true colour of the remainder of the crater lake around the active vent. If so, this has been caused by the turn-over of volcanic gases and ash-fall making the water highly acidic. As previously reported here on Earthquake-Report.com, due to this recent resurgence in eruptive activity, which has led to heavy ash-fall over most of the island, house collapses, crop failure, affected livestock and contaminated drinking water supplies, all 11,000 inhabitants of Ambae are being evacuated to the neighbouring island of Santo this June. Both the relief efforts up to this point and the evacuation, which is likely to be long-term or even permanent, have been problematic, both due to lack of funds and lack of available lands to resettle people to. The land that Ambae's residents will be moved to on Santo is only available for a 6 month period as a rental, creating further uncertainty as these people try to re-build their lives, including re-establishing their livelihoods on another island. There are some rays of light though. UNICEF Pacific, for example, have posted an image on social media of a new school that has been established on Santo in preparation for the arrival of children from Ambae. They also mention that psycho-social support will be provided for the children to help them settle in when they arrive. For the younger children, Save the Children have established safe play areas. Fantastic footage captured of an eruption on 26th May 2018 at Volcan de Fuego. Turn your sound up as well to hear the noise at the very start, which for a volcano acoustician such as yours truly is a real treat! Geologic Summary. Kilauea, which overlaps the E flank of the massive Mauna Loa shield volcano, has been Hawaii's most active volcano during historical time. Eruptions are prominent in Polynesian legends; written documentation extending back to only 1820 records frequent summit and flank lava flow eruptions that were interspersed with periods of long-term lava lake activity that lasted until 1924 at Halema`uma`u crater, within the summit caldera. The 3 x 5 km caldera was formed in several stages about 1500 years ago and during the 18th century; eruptions have also originated from the lengthy East and SW rift zones, which extend to the sea on both sides of the volcano. About 90% of the surface of the basaltic shield volcano is formed of lava flows less than about 1100 years old; 70% of the volcano's surface is younger than 600 years. A long-term eruption from the East rift zone that began in 1983 has produced lava flows covering more than 100 km2, destroying nearly 200 houses and adding new coastline to the island. Geologic Summary. Klyuchevskoy (also spelled Kliuchevskoi) is Kamchatka's highest and most active volcano. Since its origin about 6000 years ago, the beautifully symmetrical, 4835-m-high basaltic stratovolcano has produced frequent moderate-volume explosive and effusive eruptions without major periods of inactivity. It rises above a saddle NE of sharp-peaked Kamen volcano and lies SE of the broad Ushkovsky massif. More than 100 flank eruptions have occurred during the past roughly 3000 years, with most lateral craters and cones occurring along radial fissures between the unconfined NE-to-SE flanks of the conical volcano between 500 m and 3600 m elevation. The morphology of the 700-m-wide summit crater has been frequently modified by historical eruptions, which have been recorded since the late-17th century. Historical eruptions have originated primarily from the summit crater, but have also included numerous major explosive and effusive eruptions from flank craters. Geologic Summary. Merapi, one of Indonesia's most active volcanoes, lies in one of the world's most densely populated areas and dominates the landscape immediately north of the major city of Yogyakarta. It is the youngest and southernmost of a volcanic chain extending NNW to Ungaran volcano. Growth of Old Merapi during the Pleistocene ended with major edifice collapse perhaps about 2000 years ago, leaving a large arcuate scarp cutting the eroded older Batulawang volcano. Subsequently growth of the steep-sided Young Merapi edifice, its upper part unvegetated due to frequent eruptive activity, began SW of the earlier collapse scarp. Pyroclastic flows and lahars accompanying growth and collapse of the steep-sided active summit lava dome have devastated cultivated lands on the western-to-southern flanks and caused many fatalities during historical time. Geologic Summary. The massive Piton de la Fournaise basaltic shield volcano on the French island of Réunion in the western Indian Ocean is one of the world's most active volcanoes. Much of its more than 530,000-year history overlapped with eruptions of the deeply dissected Piton des Neiges shield volcano to the NW. Three calderas formed at about 250,000, 65,000, and less than 5000 years ago by progressive eastward slumping of the volcano. Numerous pyroclastic cones dot the floor of the calderas and their outer flanks. Most historical eruptions have originated from the summit and flanks of Dolomieu, a 400-m-high lava shield that has grown within the youngest caldera, which is 8 km wide and breached to below sea level on the eastern side. More than 150 eruptions, most of which have produced fluid basaltic lava flows, have occurred since the 17th century. Only six eruptions, in 1708, 1774, 1776, 1800, 1977, and 1986, have originated from fissures on the outer flanks of the caldera. The Piton de la Fournaise Volcano Observatory, one of several operated by the Institut de Physique du Globe de Paris, monitors this very active volcano.